03 Greedo & Sherwood Marty Channel The Big Tymers On "Kemosabe"
Home>New Songs>Sherwood Marty Songs> 03 Greedo & Sherwood Marty Channel The Big Tymers On "Kemosabe"
Sherwood Marty and 03 Greedo deliver a gritty banger. We first got familiar with Sherwood Marty at the top of 2018 when he released his joint project with OMB Peezy, Young And Reckless. Since then, he's been going strong and dropping a ton of music. Now, he returns with a new cut featuring the incarcerated Wolf Of Grape Street. 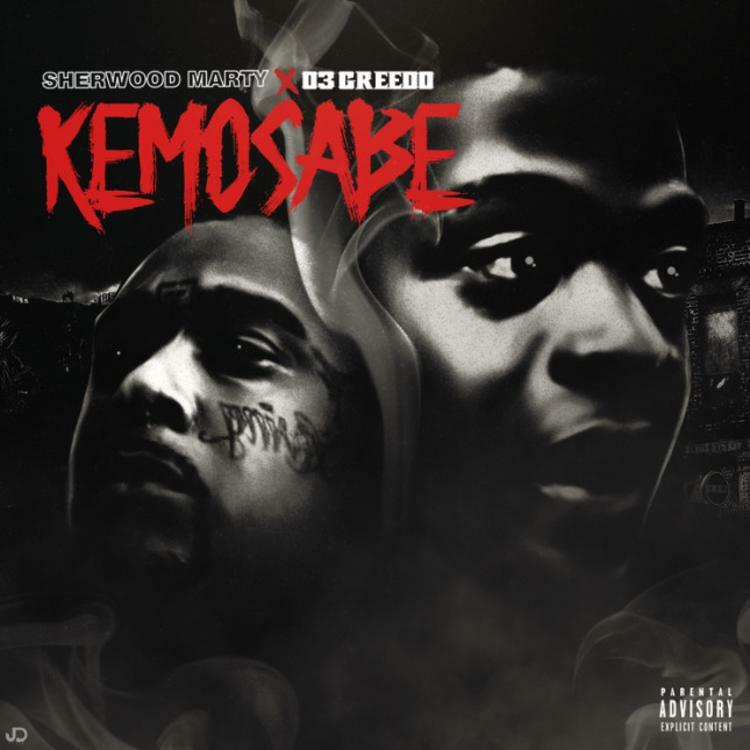 Sherwood Marty teams up with 03 Greed on his new single, "Kemosabe." The hook pays homage to the Big Tymers record, "Big Ballin." The two grab RonRonDoThatShit for the production who serves up a grim trap beat. Marty holds down the hook and the first two verses before handing it over to 03 Greedo to close it out. 03 Greedo fans have been patiently waiting for the incarcerated rapper to drop off his joint project with Mustard, Still Summer In The Projects. The project was set to drop last week but unfortunately, there's no sign of it. We'll keep you posted on the status of Greedo and Mustard's project. Reese LaFLARE & Key! Join Money Makin Nique On "Mount Olympus"
SONGS 03 Greedo & Sherwood Marty Channel The Big Tymers On "Kemosabe"